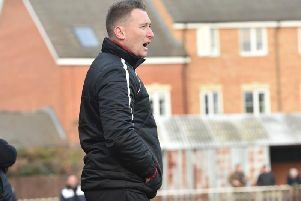 Aylesbury United boss Ben Williams has declared himself ‘extremely happy’ with the squad at his disposal ahead of next month’s opening game of the Southern League season. The Ducks will host Kempston Rovers on August 18 in their first fixture of the 2018/19 Division One Central campaign, followed by an opening away clash at Didcot three days later and then an FA Cup tie against either Crawley Green or Woodley United. Before then, Williams will put the finishing touches to his squad, although he’s already content with what he has available as United continue to gear up for the season with a string of friendlies, the latest of which saw Aaron Berry and Greg Williams score second-half goals in a 2-2 draw at Tring Athletic on Saturday. “It’s been a very different pre-season this year as it’s my first as manager of Aylesbury,” said Williams. “We’ve been battling the weather like everyone else with the main obstacle being very dry pitches. “We have managed to get a few sessions done on the AGP at Mandeville School which helps save the feet. 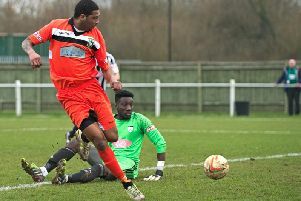 Williams has kept faith with the squad that ended last season so strongly, meaning the likes of club stalwarts Jack Wood and Ollie Stanbridge will spend at least another 12 months in green and white. “I said at the end of last season I would be happy if I started this season with the same squad and unusually for most clubs at our level everyone has re-signed which makes me extremely happy,” he added. “We have also managed to add two players in Max Hercules and Chris Crook. Max spent the previous two seasons at Tring Athletic and also had two years at Bucks Sport Academy with me so he is a player I know very well. “He has great potential and I’m sure will add a great attacking threat to our team. “Chris played for the club before my arrival two seasons ago. He had time away due to work commitments but we welcome him back as defensive competition and cover. “We have a couple of other players training and playing with us at present and I hope to have further news on them in the next week or so, as I’m still looking to add some attacking flair to the squad.